The 3-star Park Hotel is located in Liverpool, just a short distance from the city centre and Aintree Racecourse. 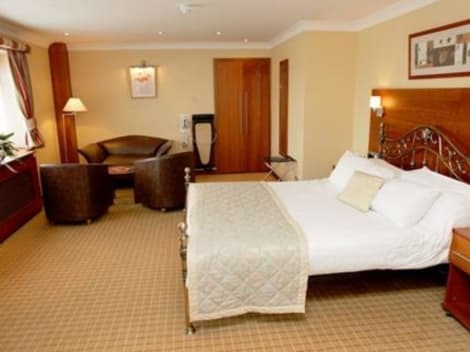 The hotel is connected to several main motorways, making it an ideal base for both business and leisure travellers. Each room offers a range of home comforts, including a trouser press, LCD TV with Freeview, broadband access and safe. Take advantage of a free pass to the local gym, available to all guests. The restaurant and bar serves classic dishes with a contemporary twist. The Park Hotel is a function hotel so live music may be played until 01:00 most weekends. Please contact hotel to request a higher floor room, subject to availability. Liverpool is such an exciting city and Premier Inn Hotel Liverpool North has great transport links into the centre. Whether you're here on business or pleasure, we'll help you see all the sights, without the hustle and bustle. Take a train into the city centre and visit the Albert Docks, where Victorian warehouses have been turned into ultra-modern museums and bars. If music is your thing, the Beatles Story is a must, and you'll want to catch the Liverpool Sound City Festival if you're here in May too. Then get back to the hotel for a tasty Beefeater meal and our new, modern rooms with extra-comfy kingsize Hypnos beds. lastminute.com has a fantastic range of hotels in Litherland, with everything from cheap hotels to luxurious five star accommodation available. We like to live up to our last minute name so remember you can book any one of our excellent Litherland hotels up until midnight and stay the same night.